FIVS is an international federation that works for the overall sustainability of the global alcohol beverage sector. FIVS-Assure is a comprehensive online database of exemplary social responsibility programmes in the alcohol beverage area. Examples are drawn from around the world and are in several different languages. 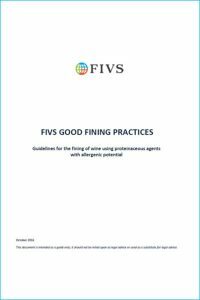 FIVS-APACE is an online database for additives and processing aids approved for use in winemaking around the world. This information source is an initiative of the FIVS Scientific and Technical Committee. FIVS Alerts are regular bulletins that inform our membership about important developments in the global wine, spirits and beer sector, as well as on FIVS’s activities. FIVS-Abridge is a comprehensive database of alcohol beverage regulations and trade agreements from around the world. 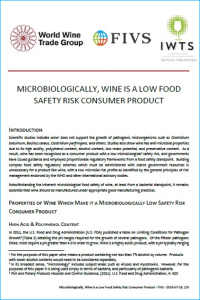 This tool provides relevant wine information covering seven regulatory topics for 33 countries as well as information from the International Organisation of Vine and Wine and Codex Alimentarius. In order to support sustainable economic growth for the alcohol beverage industry, FIVS works to promote the mutual acceptance of regulations in areas such as production methods and labelling, the alleviation of trade distorting practices, and combatting counterfeit alcohol. FIVS advocates for an environmentally sustainable industry by encouraging the adoption of appropriate locally relevant sustainability programmes. 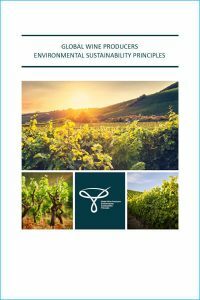 To that end, FIVS has developed The Global Wine Producers Environmental Sustainability Principles. 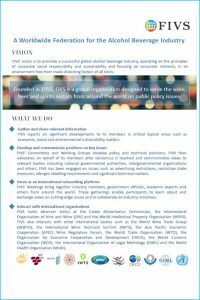 FIVS supports initiatives that promote responsible alcohol consumption, such as encouraging the sharing of good practices, fostering dialogue among key stakeholders, and promoting good regulatory practices, including self-regulatory approaches. 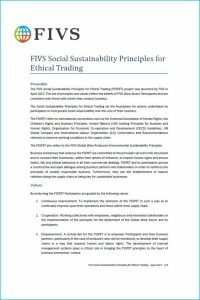 FIVS has developed Social Sustainability Principles for Ethical Trading, Guiding Principles for Advertising and Marketing, and the FIVS-Assure database. The Scientific and Technical Committee (STC) assists the Federation and the industry by addressing challenging technical and scientific matters. 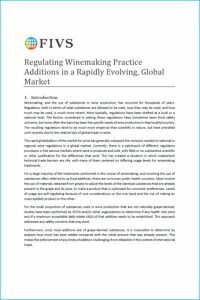 FIVS Committee members have produced a varied set of scientific papers which have the effect of fostering the sound regulation of wine. Working with other groups, the STC has developed two sets of principles to promote regulatory coherence.